Nonprofit promotes Jacksonville from its best view, the waterways - The Resident Community News Group, Inc. | The Resident Community News Group, Inc. 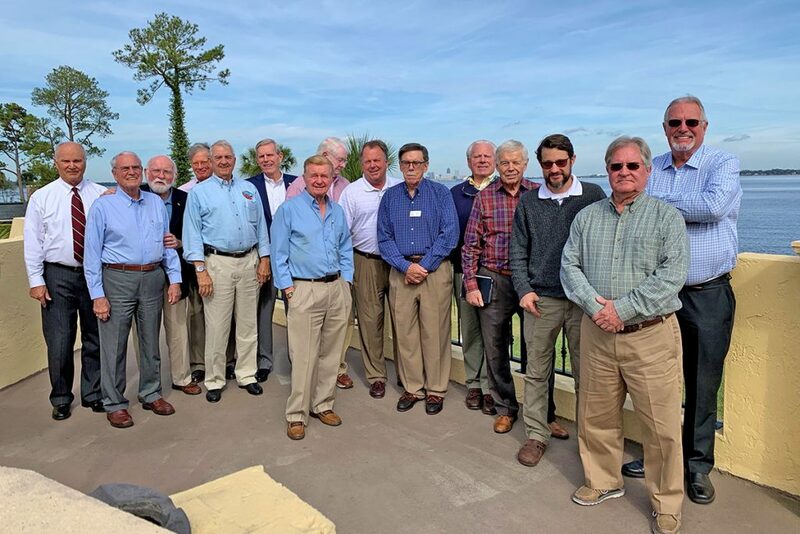 When it comes to promoting the River City’s waterways as economic and recreational assets, there are none better to serve as ambassadors than the members of the 44-year-old Jacksonville Commodores League. The civic-minded group of business and professional leaders who believe the area’s marine environment, and the playground that is the St. Johns River, is a great asset to the City of Jacksonville was formed during the days when Mayor Hans Tanzler promoted Jacksonville as the Bold New City of the South. Among potential newcomers who enjoyed the hospitality of the League were J. Wayne and Delores Barr Weaver, who brought the Jaguars NFL team to Jacksonville in 1993. Other celebrity guests who have cruised the local waterways on power vessels ranging from 25-foot sportcraft to yachts of more than 100 feet include President Gerald Ford and Secretary of State Henry Kissinger along with Egypt’s president, Anwar Sadat, for Mideast Peace talks in 1975, shortly after the League officially formed. The JCL has more than 35 members who have hosted hundreds of cruises for organizations evaluating a potential relocation or expansion to Jacksonville and Duval County, or are affiliated with economic development, such as the Chamber of Commerce, Rotary Clubs, Downtown Development groups and others. The cruises last about three hours and are captained and crewed by members of the League, and include cruise guides who point out the key landmarks of the area and provide historical perspective of Jacksonville’s 200 years, according to Horenstein. Most boats are berthed at local clubs, such as the Florida Yacht Club or the Epping Forest Yacht & Country Club, or at the Ortega River area marinas. A few are docked at residential and institutional facilities, all of which are part of the St Johns River and its tributaries, said Horenstein. There have been 32 Flag Commodores since the beginning in 1975, some of whom have served as many as three terms over their years of membership. Horenstein took the gavel from Barry Allred, immediate past Flag Commodore, at the Change of Watch ceremony in November 2018. The group meets 10 times a year at luncheons which include speakers who address the group on civic or nautical topics. They also make site visits to local points of interest, such as the two Naval Air Stations, on board Navy ships, or to the Mandarin Museum and Historical Society, which is near the wreckage of the Maple Leaf, a Civil War steamboat. The goal of the Commodores League is simple. “We ask what we can do for our community,” said Horenstein. “The members of the JCL are prepared to do what it takes and of their own resources to make the JCL’s goals of community growth through exploration of the river setting a reality. For more information about the Jacksonville Commodores League, visit jacksonvillecommodoresleague.com. Sue Heinzel volunteers as the nonprofit’s secretary.